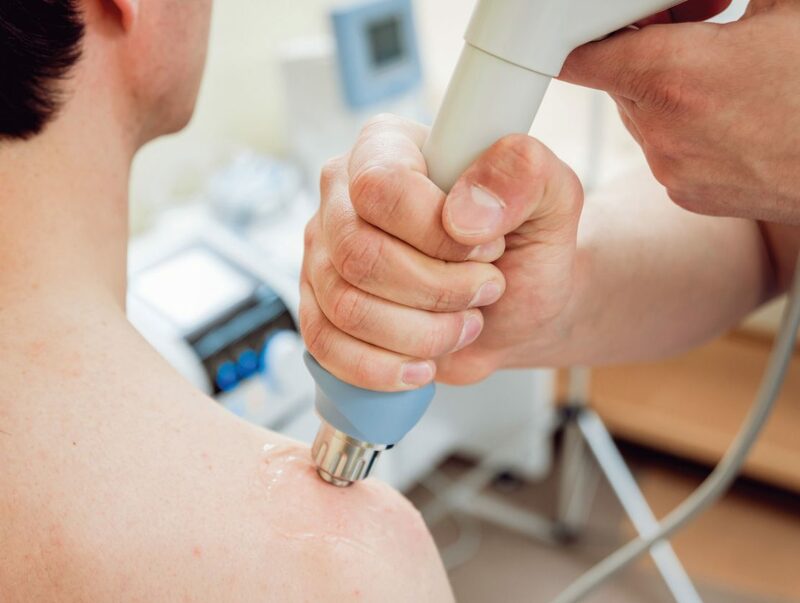 Shockwave therapy is one of the most advanced methods of pain therapy. Chronic inflammation is converted into acute inflammation and this way recognized and fought by the body. How does the shockwave work? Shock waves can accelerate the healing process in the body, by setting the self-healing powers in motion. It improves the metabolism, increases the blood circulation and damaged tissue can regenerate and heal. Physician and Physiotherapist: The shock wave treatment is performed by either a physiotherapist or physician, depending on the type of shock wave. Through a combination of shock wave therapy and physiotherapy, a holistic treatment can be carried out and the focus is placed on the combat of root causes. Shockwave and physiotherapy: After a medical and physiotherapeutic examination, a holistic treatment plan is created, which is tailored to your pain.